Trust Fund is a modern-day parable of two sisters searching for happiness and fulfillment: one thru moral conformity and the other thru self-discovery. Trust Fund shares a message about forgiveness, hope and discovering who you are. WHO IS TRUST FUND FOR? 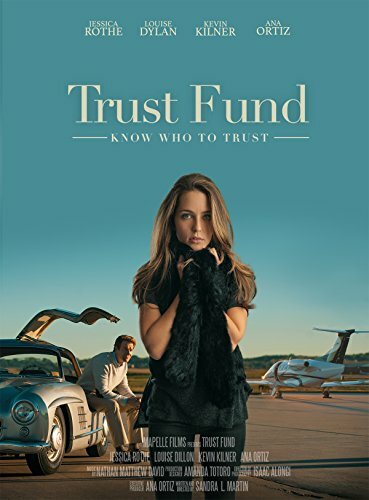 Trust Fund is a movie parent's want their daughters to see. A love story written for young women. opening doors for much needed conversations about: self-worth, boundaries and relationships. The study guide is for small groups of any age and a companion book to the movie for girls ages 12+. WHAT CAN YOU DO TO HELP SHARE THE STORY? The movie is now available on Amazon. Email us if you are interested in prescreening for an event. Movie event licenses are a great way to share the story with your church and community. Share on social media, this is a great outreach for Jr.High and High school girls. Movie nights are a great way to share the story with your church and community. As an outreach to invite friends or use it as a fundraiser and take donations. Designed to dig deeper into the prodigal story themes of Trust Fund. Divided into four sections that go along with the movie, scriptures, and discussion questions.